I have several plants in my home landscape that produce unusual flowers. They are funky enough in the looks category to nearly stop traffic. I thought you might appreciate the beauty and uniqueness of each one. The plants I have selected are: Spiral ginger, Dutchman’s pipevine, Hoya, Tillandsia, Gloriosa lily, White powderpuff, and Chinese hat. 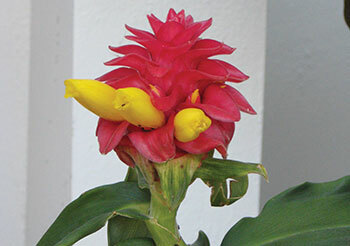 Spiral ginger, Costus spp: This is a fast-growing perennial that can reach a height of 6–10 feet and a spread of 4–8 feet. It prefers slightly acidic to slightly alkaline soil pH of 6.0–7.2. Any soil texture works well, from clay loam to sandy loam, from sand to sandy clay. Soil moisture should be well drained. Spiral ginger has low-drought tolerance and low-to-no salt tolerance. It prefers partial shade/partial sun and performs well in full shade or full sun. The undersides of the leaves are very soft, and the flowers remind me of a red wax sculpture with yellow bird bills protruding. Flowering occurs from summer through fall. This plant grows well in north, central, and south Florida. Dutchman’s pipe, pipevine, Aristolochia spp: This is a fast-growing vine that can reach a height and spread of 10–15 feet. It prefers slightly acidic to slightly alkaline soil pH of 6.0–7.2. Sand works best as the soil texture. Soil moisture should be medium drained. Dutchman’s pipevine has medium-drought tolerance and low-to-no salt tolerance. It prefers partial shade/partial sun and performs well in full shade. The flowers are white/purple from summer through winter. This plant is the larval food plant for several swallowtail butterflies. This plant grows well in central and south Florida. 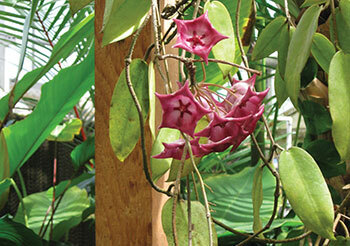 Wax plant, Wax flower, Hoya carnosa: This is a slow-growing vine whose height and spread depend on the structure utilized. It prefers acidic to slightly alkaline soil pH of 4.5–7.2. Any soil texture works well. Soil moisture should be extremely well drained. Wax plant has high-drought tolerance and poor salt tolerance. It prefers partial shade/partial sun. This plant produces large, round hanging clusters of cream colored or pink flowers in the spring and summer, and performs very well in containers or hanging baskets. Propagation is by cuttings. For more information on this plant, please see the University of Florida publication, “Hoya carnosa Wax Plant, Wax Flower,” by Edward F. Gilman, at edis.ifas.ufl.edu/fp257. 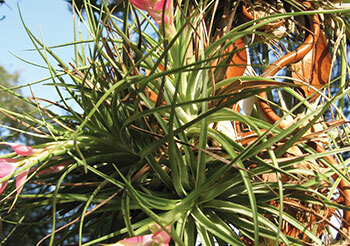 Bromeliads, Tillandsia: There are approximately 85 species of native “air plants” in Florida. Tillandsia is a member of the pineapple family. They live on other plants but do not live off of other plants, so they are epiphytes, not parasites. Tillandsia does not have roots on the ground, and some capture water through their roots or leaves. Some prefer sun and some prefer shade. Propagation is from “pups” produced by the mother plant. For more information on this lovely, native plant, please see the University of Florida publication, “Florida’s Native Bromeliads,” by Barbra C. Larson, J. Howard Frank, Ginger M. Allen and Martin B. Main, at edis.ifas.ufl.edu/uw205. Gloriosa lily, Gloriosa spp: This is a fast-growing perennial that can reach a height and spread of 2–8 feet. It prefers slightly acidic to slightly alkaline soil pH of 6.0–7.2. Soil texture should be sandy/clay. Soil moisture should be well drained. Gloriosa lily has medium-drought tolerance. It prefers partial shade/partial sun and performs well in full shade. This plant grows well in north, central, and south Florida. Powderpuff, Calliandra spp. and cvs: This is a fast-growing, small tree that can reach a height of 10–15 feet and a spread of 8–15 feet. It prefers slightly acidic to slightly alkaline soil pH of 6.0–7.2. Any soil texture works well. Soil moisture should be well drained. Powderpuff has high-drought tolerance and low-to-no salt tolerance. It prefers full sun and does well in partial shade/partial sun. This plant attracts hummingbirds. It flowers from fall through spring in colors of pink or white. According to the UF/IFAS Assessment of the Status of Non-Native Plants in Florida’s Natural Areas (Fox et al. 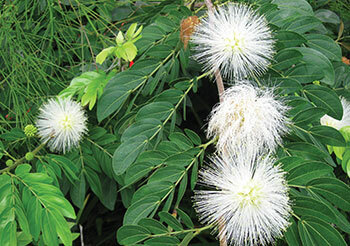 2005), only Calliandra haematocephala has been assessed as not being a problem. This is the plant photographed for this article, cultivar “White,” which produces 2–3 inch wide, snow-white flower puffs. This plant grows well in central and south Florida. Propagation is by seed and cuttings. Chinese hat plant, Holm-skioldia sanguinea: This plant has a moderate growth rate and can reach a height and spread of 5–8 feet. It prefers acidic to slightly alkaline soil pH of 4.5–7.2. Any soil texture works well. Soil moisture should be medium drained. Chinese hat plant has moderate drought tolerance. It prefers partial shade/partial sun. Chinese hat plant produces bright orange/red flowers that look like a hat, thus the name. Flowering occurs year-round in south Florida. It works well as a standard, hedge, border, or specimen plant. This plant grows well in central and south Florida. For more information, see: “Holmskioldia sanguinea,” by Edward F. Gilman at hort.ifas.ufl.edu/database/documents/pdf/shrub_fact_sheets/holsana.pdf. As always, follow the landscape or architectural control procedures in your deed restrictions before making changes. 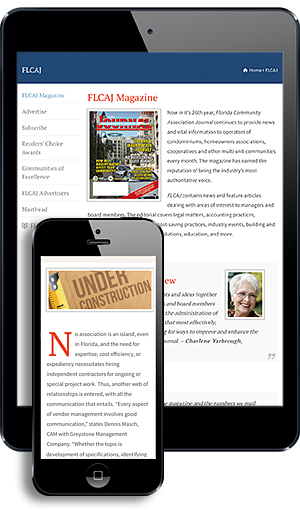 For more information about the nine principles of the Florida-Friendly Landscaping™ Program or for assistance with gardening-related questions, contact your local Extension office and/or visit the University of Florida website solutionsforyourlife.com or edis.ifas.ufl.edu.